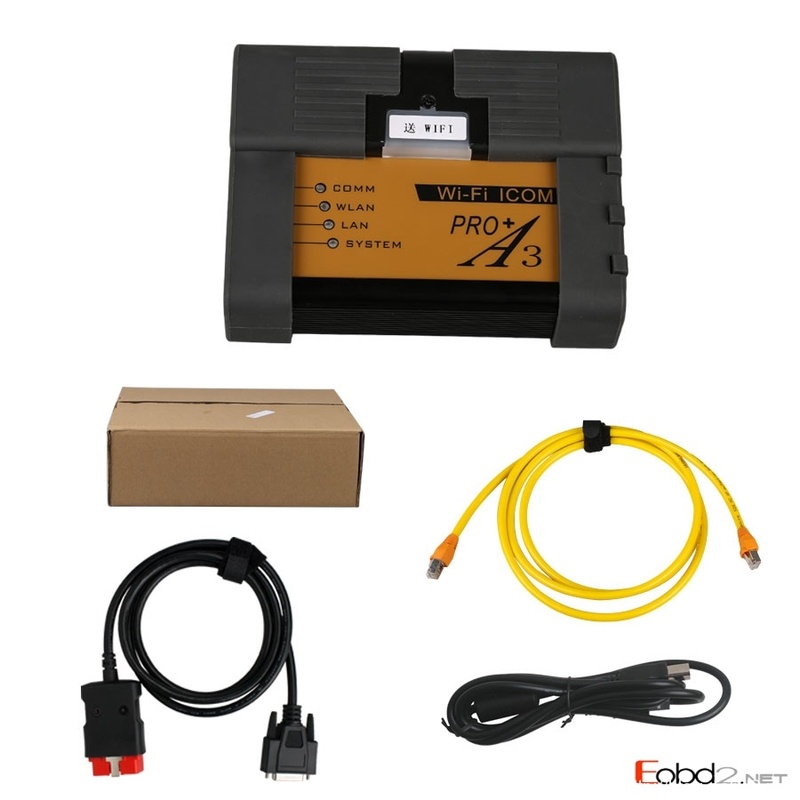 OBD16Shop.com released BMW ICOM A3, BMW ICOM A3+ Pro in today, they all can support wifi, and all can support newest version software in 2016.03. 4. Device main board contain WIFI chip, package come with WIFI adapter. Support wireless connection between ICOM A3 and laptop. But when you do programming, can not use WIFI, it is not as stable as cables.